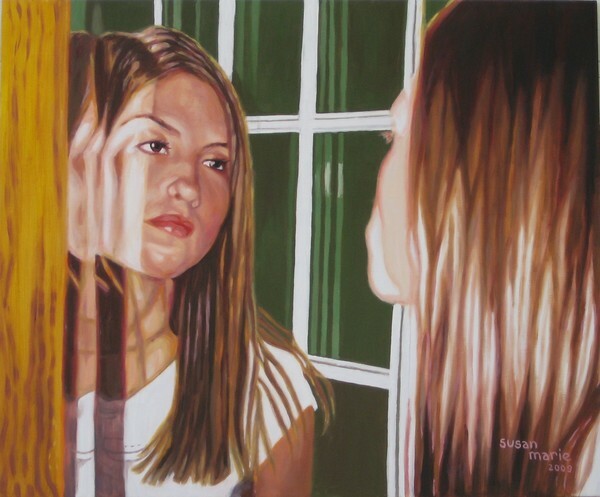 This painting of Marie is done from a photo of her looking into a beveled edge antique mirror. The painting is in oil on wood and measures 20" x 24". Excellent composition Susan, good use of color and beautiful forms. deep eyes, lovely face very handsome. gorgeous oil painting. Wonderful. Best regards, Pepe! This is really awesome,pretty subject.